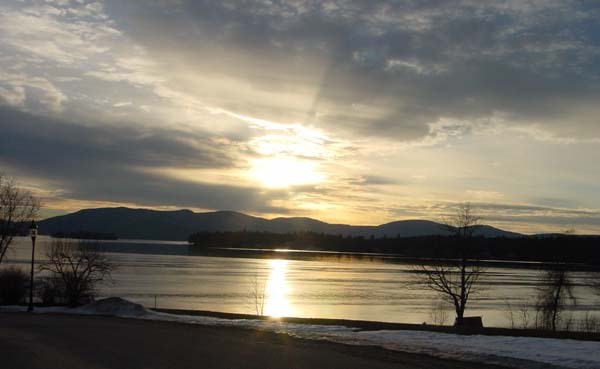 We enjoyed a beautiful sunset over the lake! 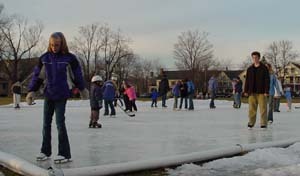 There was open Ice Skating at Brewster Field. 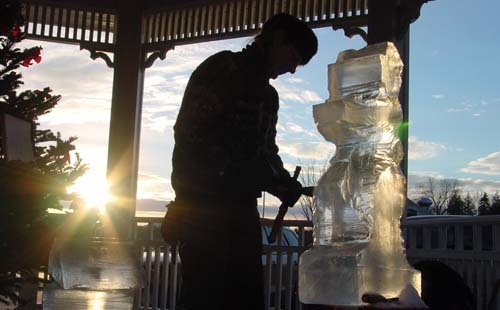 glowed in the rays of the setting sun. 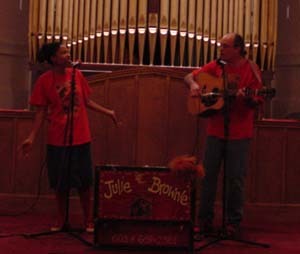 Meanwhile, "Julie & Brownie" performed at the First Congregational Church. 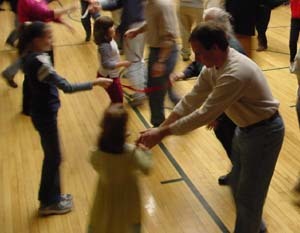 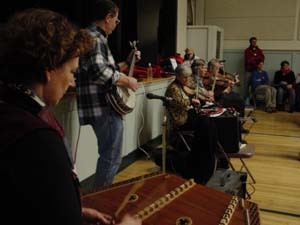 And "Two Fiddles" were holding a Contra Dance at the Carpenter School Gym. 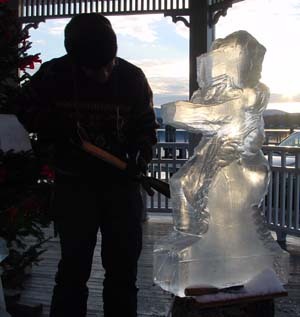 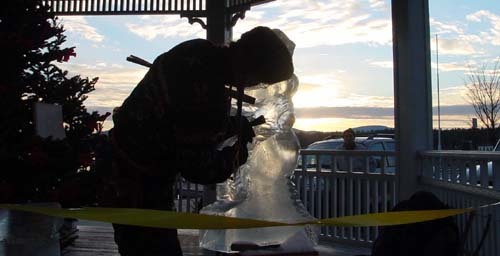 As darkness fell, I checked out the ice sculpture again. 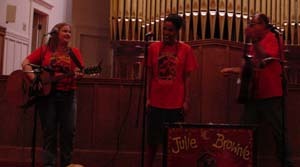 I also revisited Julie & Brownie and they now had a guest. 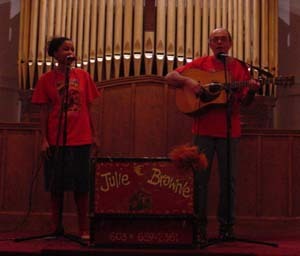 ...and you will see MORE! 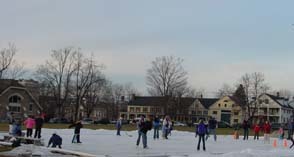 Our annual trek to Wolfeboro's First Night! 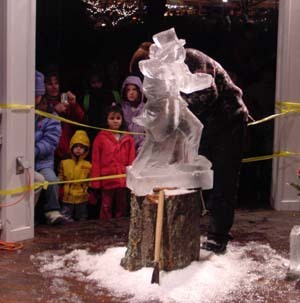 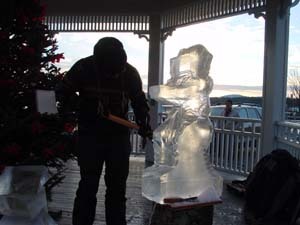 I missed the parade & seeing the ice sculpture because of the time frame for the group to set up and play.